Under the five-year, multi-vendor, multi-technology managed services agreement, Ericsson will operate, maintain and provide services across 15 of Bharti Airtel’s networks in India, Ericsson said in a statement. In addition, Ericsson will also take responsibility for the intelligent network that manages Bharti Airtel’s pre-paid customer base, it added. “With India emerging as the third-largest internet market and a multi-fold growth in data traffic on the back of a rising number of smartphones, wireless networks need to be ready for the data revolution that has only just begun," Bharti Airtel CEO (India and South Asia) Sanjay Kapoor said. This partnership will help Airtel focus on creating a compelling service proposition for customers as it looks at ramping up its market access for next generation services on 3G and 4G, he added. 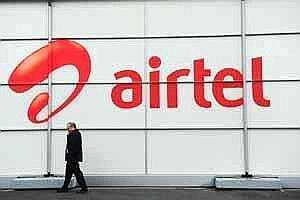 The two companies had inked a five-year managed services contract in July this year for the Africa operations of Bharti Airtel. The 15 telecom circles under the scope of the partnership include Delhi, Jammu and Kashmir, Haryana, Punjab, Himachal Pradesh, Uttar Pradesh West and UP East, Rajasthan, the North Eastern states, Assam, Karnataka, Andhra Pradesh, Tamil Nadu, Chennai and Kerala. “The rapid increase in customer numbers and the network complexities due to multiple technology overlays defines the need for a renewed focus on differentiated user experience," Ericsson India Head Fredrik Jejdling said.